Unlike Hungary Norway has a long coastline towards the sea, some 100 000 km if including islands. More than 2/3 of Norway’s export income comes from the sea; predominantly oil&gas, seafood, shipping and power. The future will see an increased use of the sea, for food, infrastructure, energy, recreation, dwellings and industrial development, to mention some. Demography shows an exponential population growth in cities, where land is scarce and expensive. Many of the cities of the world lies close to the sea, and many of them at low altitude. The rise of the sea level is regarded a threat. Fortunately, well-designed and well-built concrete structures behave nicely in seawater, and fortunately, we know how to design these structures. The presentation will highlight marine concrete structures of various types: oil&gas platforms, infrastructures, fish farming, renewable energy structures, recreation and dwellings. Some of the marine concrete structures float permanently, some only during construction. For structures that float, weight is very important. Hence, design is important. You learnt last year from Prof. Hugo Corres, that conceptual design is important, so it is for marine concrete structures. Designing for 30 m waves and 300 m water depth calls for unusual structures, very unlike laboratory test specimens. Consequently, empirical design rules may not be adequate. Design is described in some detail, including loading. 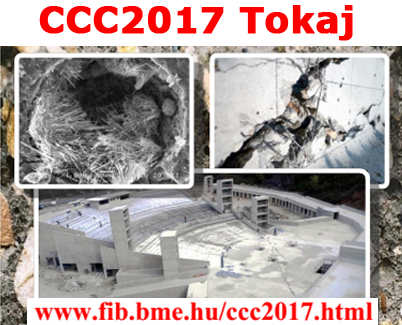 fib recognizes the importance of marine concrete structures, and publish state-of-the-art bulletins. Presentation is given in English. Conceptual design plays a leading role in defining the end-performance of structures. Facing new global challenges and embracing new technological opportunities, structural designers are encouraged to develop more creativity in their projects. Each project, indipendently on its size, is an opportunity to create. Creativity in conceptual design is hard to foster and share. It is not the result of a sudden moment of inspiration, but the fruit of a serious, systematic and ambitious work in the search of the most adequate solution to a given question. Conceptual design is actually rarely taught in civil engineering schools. Traditionally, and commonly to other creative fields (e.g. architecture, writing, gastronomy, painting), successful processes are context-dependent, experience-based and principle-driven. However, new training modes, deeper understanding of history, and the advent of new tools and technologies sets forth new possibilities for creative endeavours. 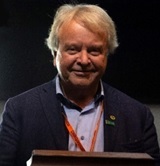 The International fib Symposium on Conceptual Design of Structures is a one-of-a-kind event specifically addressed to creative designers of all experience levels. The event will take place at the Torroja Institute in Madrid, Spain, a unique blend of civil engineering and architecture.